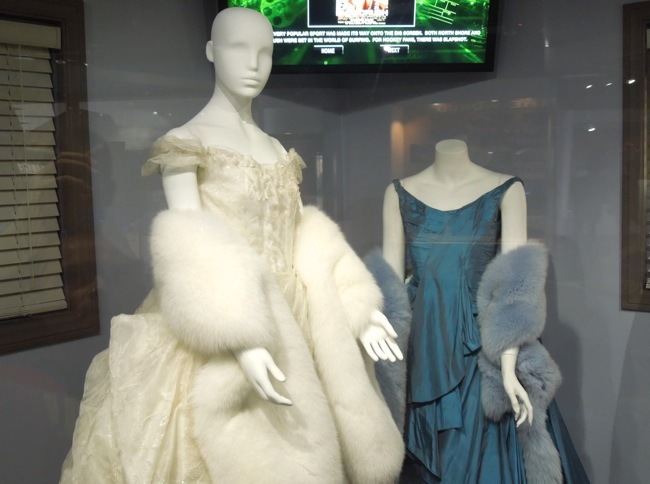 As promised here's a closer look at Jacqueline Durran's Oscar-winning gowns from Joe Wright and Tom Stoppard's 2012 adaptation of Leo Tolstoy's classic novel Anna Karenina. 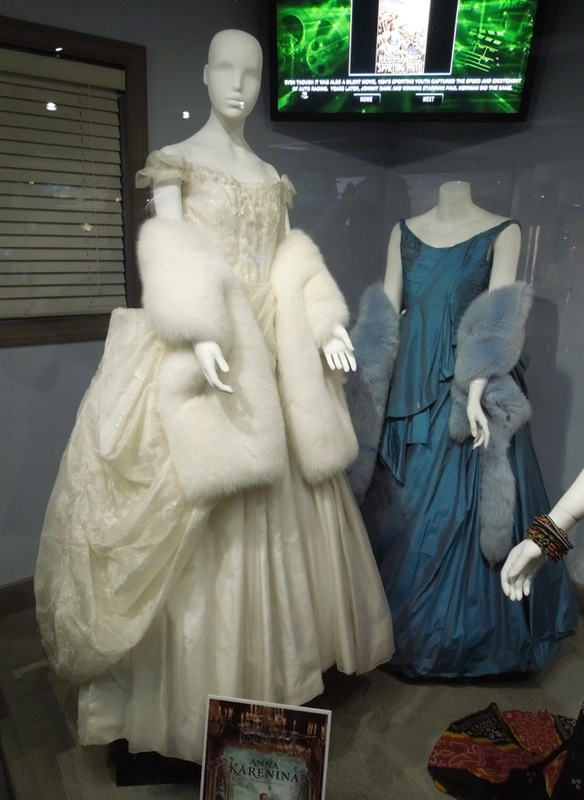 These gorgeous gowns featured in the movie were photographed at the NBC Universal Experience exhibit at Universal Studios Hollywood on May 7, 2013. 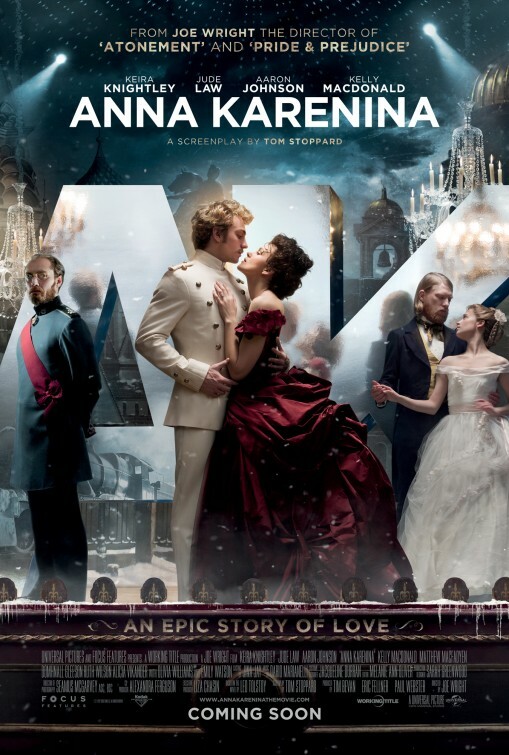 The film is set in late 19th century high society Russia and Kiera Knightley plays the titular aristocrat 'Anna Karenina'. 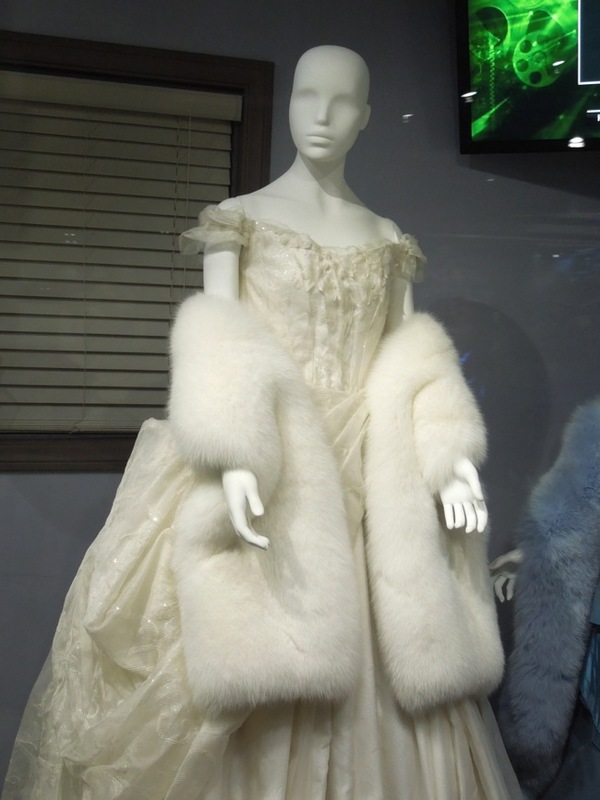 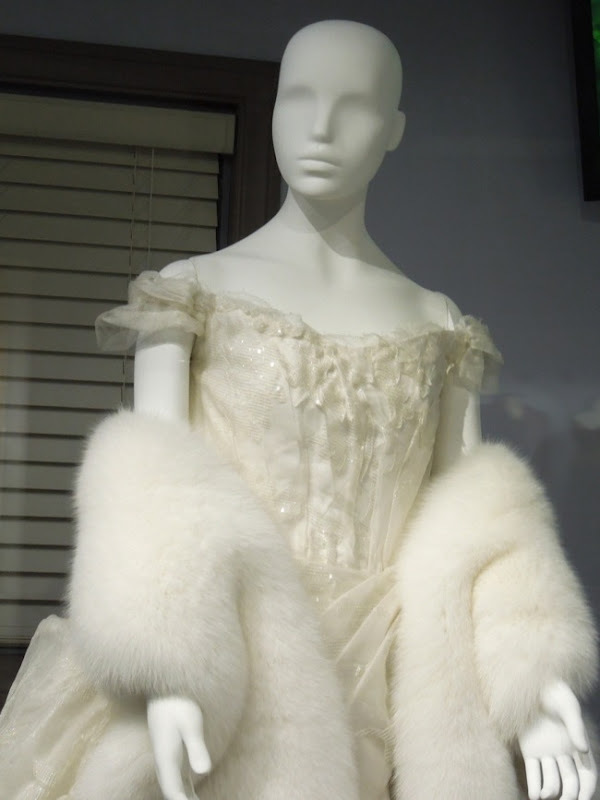 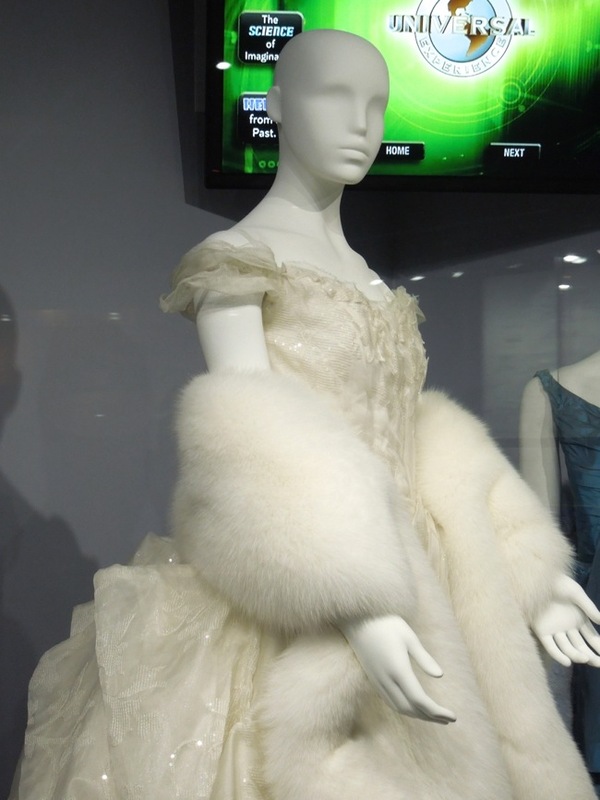 This is the extravagant white gown and fur she wears to the opera in the movie. 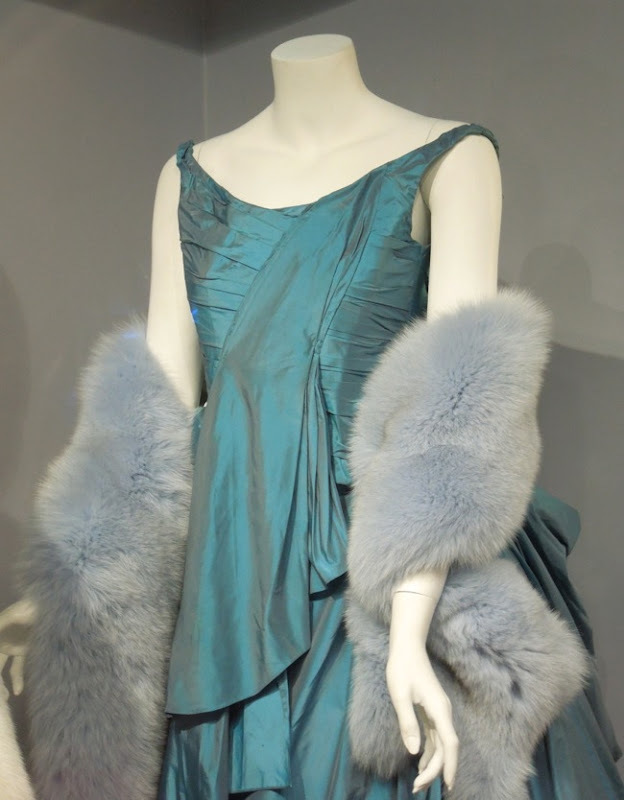 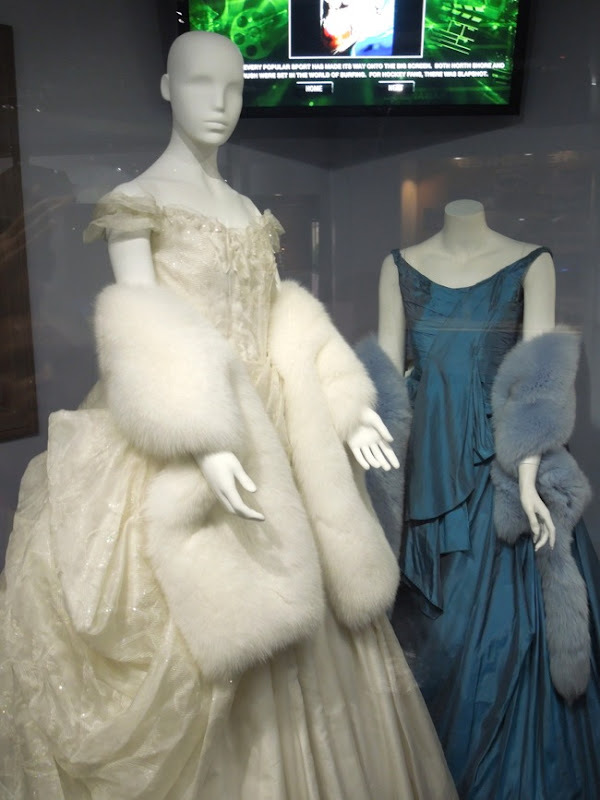 Also on display besides Keira Knightley's white opera dress was the equally beautiful turquoise gown worn by Ruth Wilson as 'Princess Betsy Tverskoy'. 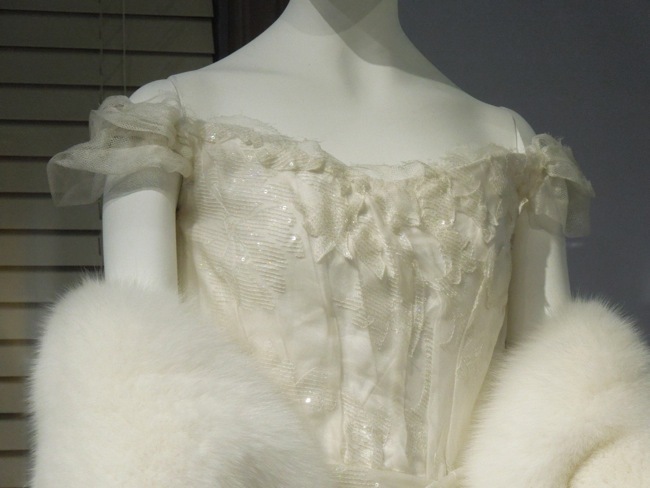 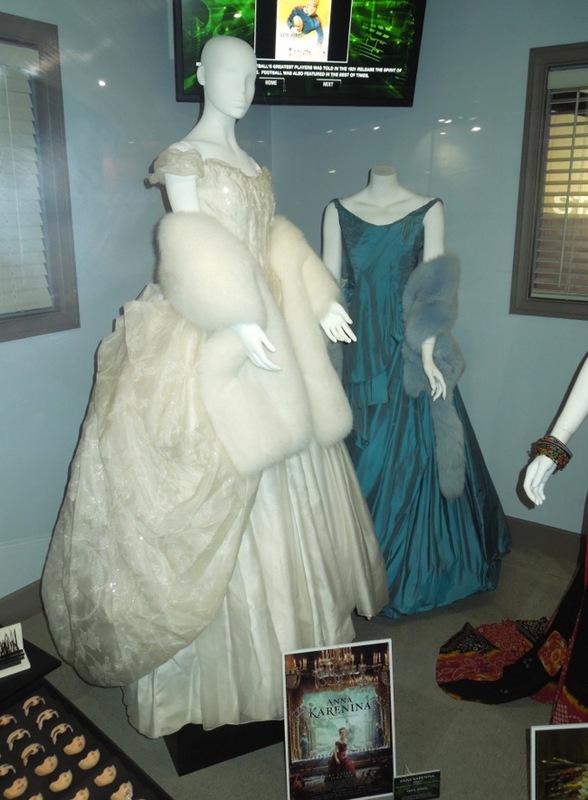 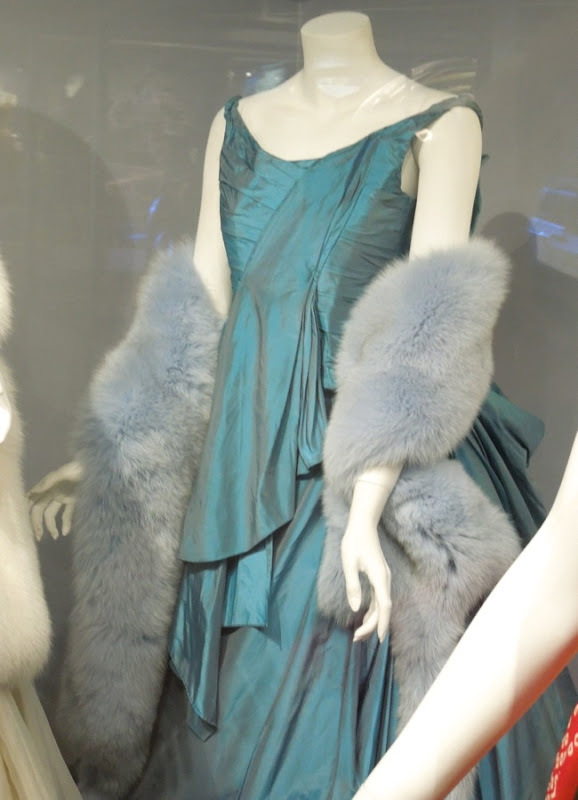 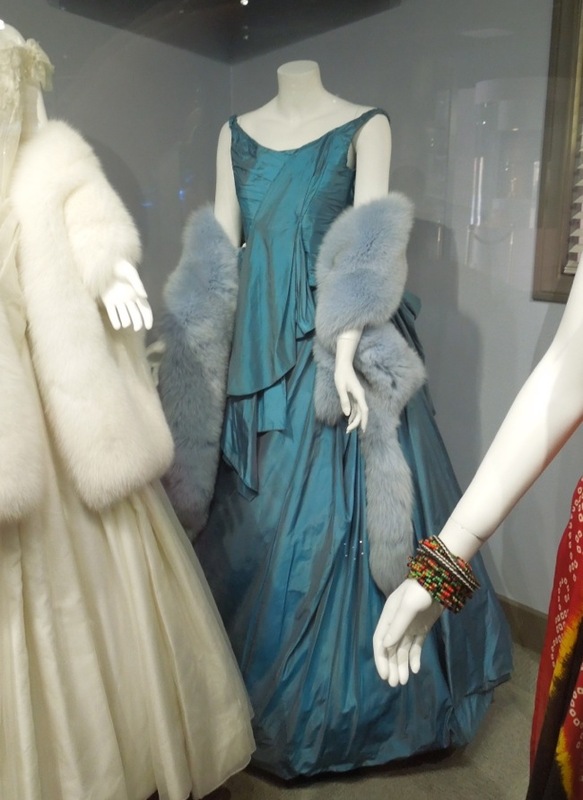 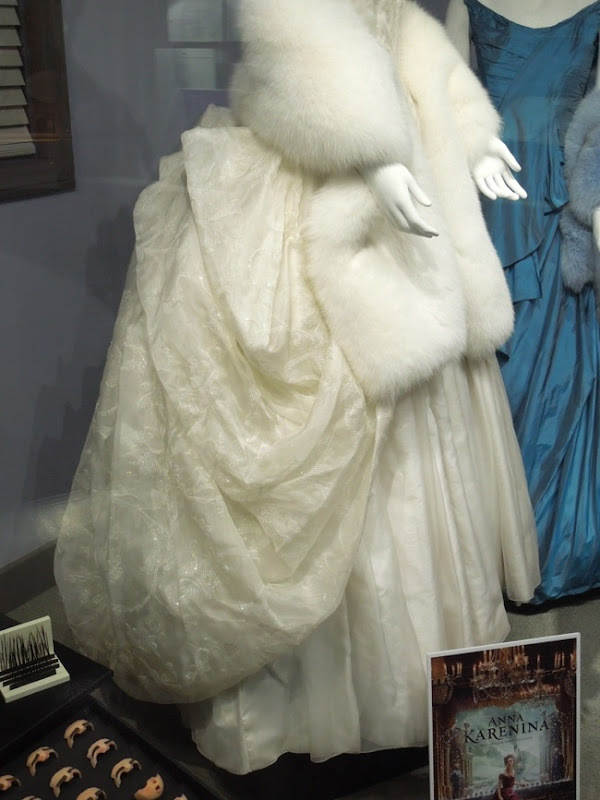 If you love this gown, be sure to check out these other original movie costumes worn by Keira Knightley, Aaron Taylor-Johnson and Jude Law in Anna Karenina on display around the movie's American cinematic release. 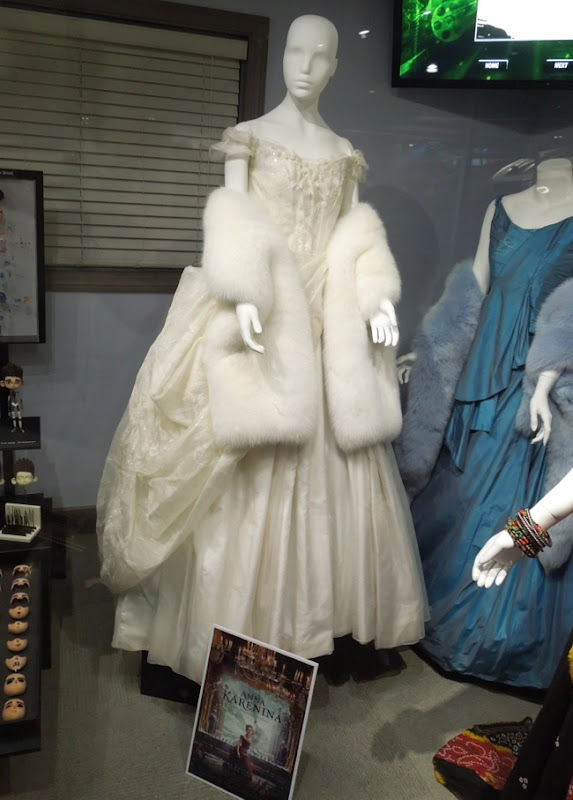 If you're an admirer of Jacqueline Durran's costume work, be sure to also check out these movie costumes from 2011's Tinker Tailor Solider Spy on display. 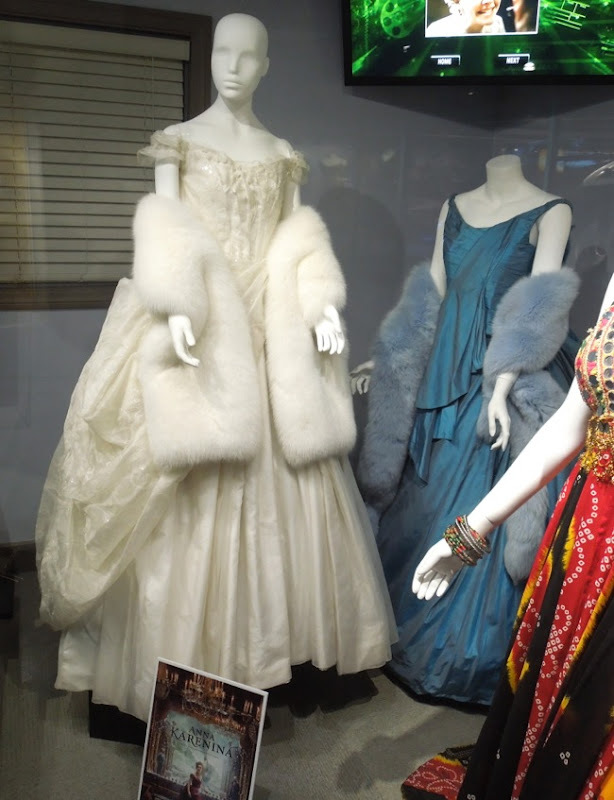 Come back soon to see even more amazing costumes on display from my most recent visit to Universal Studios Hollywood.